First Look – Book One Of My New Science Fiction Series! 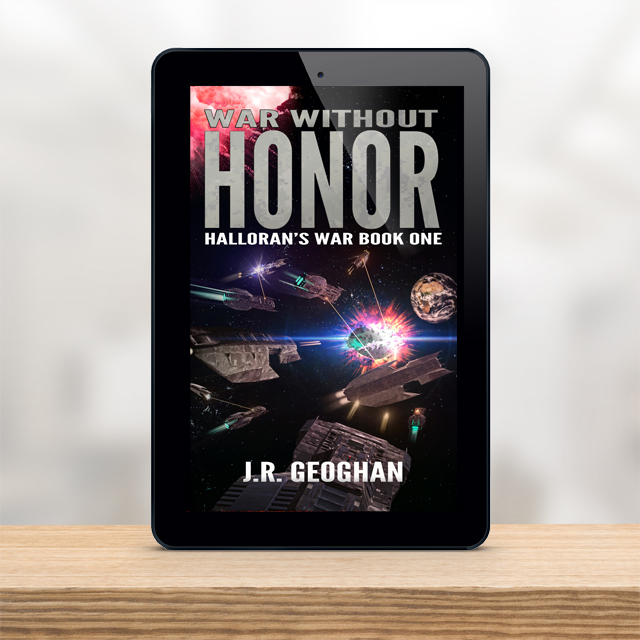 Book one of my new science fiction series – Halloran’s War – is in production and book two underway! I hope to launch the series in January with the first three titles. I’m having a blast writing science fiction. The artwork for my series has been a collaboration with talented German artist Thomas Budach. These covers are simply awesome! So much thanks to him for making my stories come alive. Keep an eye out in November for more details on Halloran’s War. Interested in being a beta reader for my new science fiction series? Let me know!